ILANO blends modern design with time-honored techniques. Deeply inspired by indigenous crafts, and the innovations in movement, line, and texture by women artists such as Ruth Asawa, the Bauhaus Weaving Workshop, and Sister Corita Kent, ILANO creates a platform to explore traditional handcrafts through a contemporary lens. 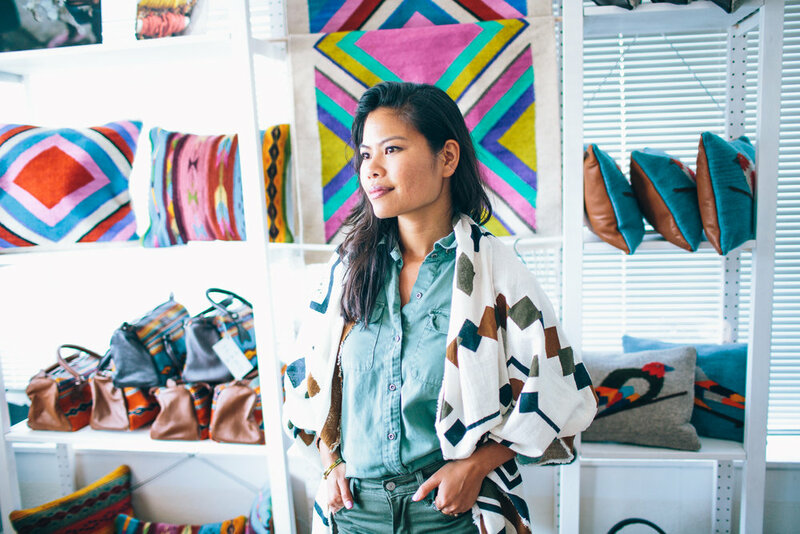 Building off founder Roseli Ilano’s passion for textiles and decade of experience as a writer, educator and developer of storytelling campaigns for social justice and human rights, Ilano designs the textiles for the line in her studio, partnering with artisans from around the globe. Ilano is a Girlboss Grant recipient and winner of the Scion Motivate Prize for Young Entrepreneurs. Her travels and collaborations have taken her from the valleys of Oaxaca to the lush terraces of the Philippine Cordillera, but she holds fort in Oakland, California. We are proud to partner with master weavers, cobblers, and leathersmiths to produce the finest quality goods. Our transparent process utilizes natural dyes and fibers to create sustainable jobs. 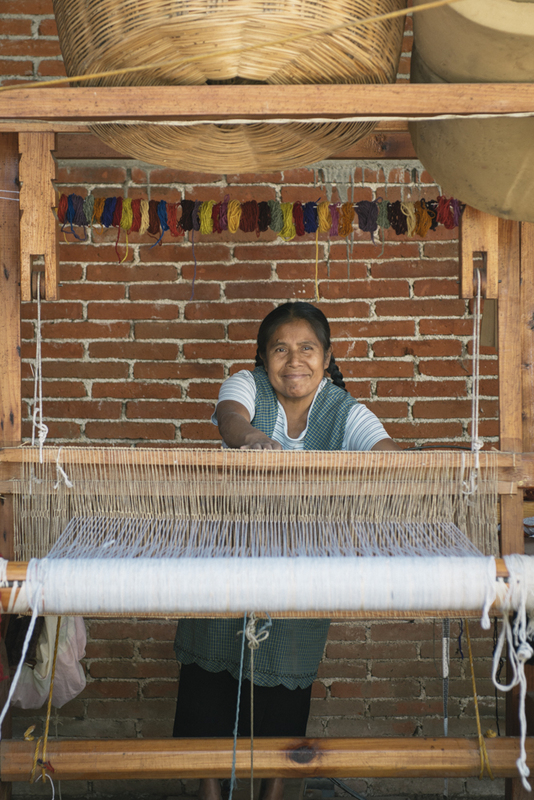 Vida Nueva represents four generations of women weavers working together in a worker owned, worker operated cooperative. One member of the cooperative is Petrona. Marcela’s work has been featured at the Smithsonian in Washington D.C.
Clara is the founder of Ndavaa, a workshop that has been perfecting the craft of Mexican huaraches for 30 years. Her workshop partners exclusively with ILANO to create our handmade sandals featuring recycled rubber soles.